If you find yourself anywhere in the vicinity of Bangor (Gwynedd, not Co. Down) over the next 3 months, then please consider calling in to Pontio, the new and exciting Arts & Innovation Centre. It’s an interesting place with lots of things going on, but in addition to those interesting things, you can see my new multi-media exhibition, Gwaddol, for free. “I admit to feeling a bit daunted when I was first approached about doing this, as it was clear from the outset what a clear sense of community there was around Theatr Gwynedd. There were so many people who knew each other, worked together, grew up together and one of the most interesting things for me was finding out these stories – these stories and people who had grown into local legends. “I feel really warmly towards the place now, though I never went there myself, and it seemed there was lots of fun to be had there. So that was something I really wanted to come out in the exhibition. 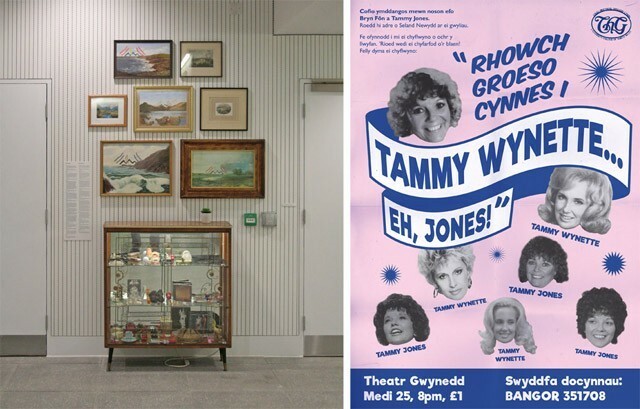 It’s all very well doing a very serious and sombre reflection of the history of Theatr Gwynedd, but from speaking to people who were involved with it, it really seemed as if it was a good, fun happy place so I wanted that to be reflected.